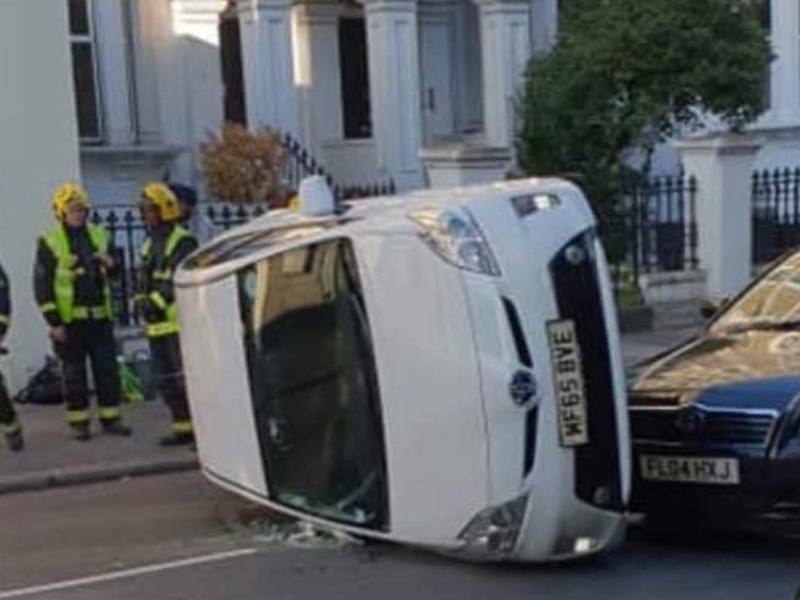 It seems as though that a day doesn't go by without private hire vehicle being flipped over or being involved in some kind of accident.In the last week, in London alone, we have seen four either on their side or on their roof.Add to the fact that, unbelievably, we have also seen a PHV driving the wrong way around Hyde Park Corner, into oncoming traffic, as well as two private hire drivers ending up in the North Sea after one got caught out trying to drive along the causeway at St Marys Lighthouse in Tyne and Wear, and in the same area another driving off of a jetty, questions now have to be asked as to how this situation has not just been allowed to emerge, but also why it has been allowed to exacerbate.Drivers make mistakes, that is an unavoidable fact, there is however a difference between a mistake and incompetence behind the wheel.Obviously it needs to be recognised that not every accident is a PHV drivers fault, and it must be acknowledged that there are some very good PHV drivers on the road, but there is a clear problem.Up until recently prospective taxi drivers had to pass an enhanced driving test. This test was scrapped by the DVLA in December 2016, allegedly due to the knock-on effect, creating a backlog within the testing regime for private motorists. Surprisingly no testing regime has ever been put into place for the PHV industry. This may answer some of the questions as to why so many PHVs seem to be making some seriously dangerous mistakes, which include life threatening ones.Driving a taxi or a private hire vehicle is very different from driving a car, the continued concentration level is draining, especially when you have gone beyond eight or nine hours, but nevertheless that level must remain high, one cannot simply "switch off." This is a discipline that is not afforded to every private hire driver. That in itself does not make the person a bad driver, it just means their concentration level is not durable enough for the job, thus mistakes ensue.This is not something which can be taught, you either can or cannot continually concentrate consistently over a long period. This applies to taxi drivers and bus drivers as well as private hire drivers.What has to be accepted is that when you combine a lack of concentration with a lack of an intimate familiarity of any given area in which you are working on a daily basis, you are then asking for trouble. 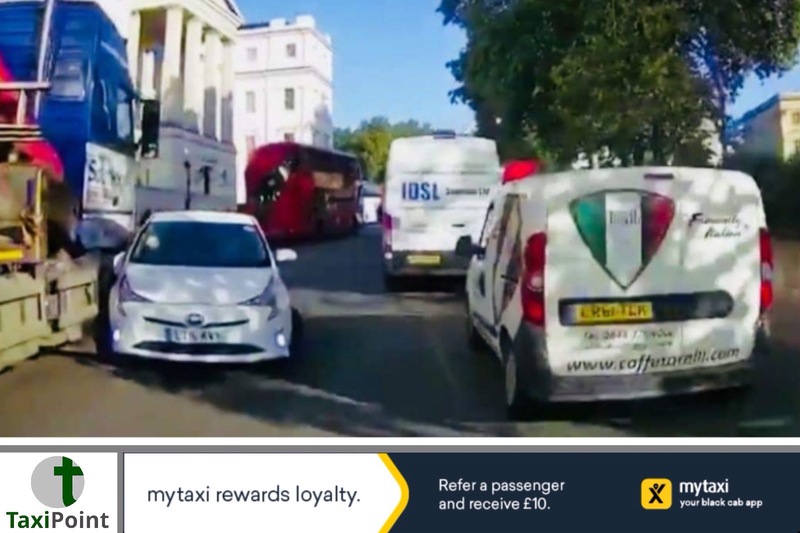 There is absolutely no excuse for a vehicle to be travelling around Hyde Park Corner into oncoming traffic, nor entering the Limehouse Link via the eastbound exit when travelling westbound, thus having to turn around inside the tunnel (something which i have personally witnessed on two occasions). It is distinctly possible that the drivers of the private hire vehicles described above were attempting to follow their satellite navigation equipment, and failed miserably, again that is no excuse.There is also an argument to say that many are completely unfamiliar with the road networks because they simply havent been driving in the UK long enough, and as a result drive highly erratically.In June of last year i spoke to both Caroline Pidgeon and Wes Streeting regarding the lowering of driving standards and the lack of a replacement to the DVLA test, as well as the lack of any sort of testing for potential private hire drivers. They were fully supportive of the introduction of an enhanced driving test for potential PHV drivers, as well as a re-introduction of the driving test for taxi drivers. This was also echoed by Mayor Sadiq Khan. As yet we are no closer to seeing any sort of test implemented. This is an issue which Secretary of State for Transport, Chris Grayling, could deal with fairly swiftly by simply identifying an organisation capable of mirroring the DVLA test, and then making the relevant ammendment via secondary legislation to the 2015 Deregulation Act, allied to TfL emulating this in the 1998 private hire act. The Hackney Carriage Act would not need to be altered as legislation is already in place pertaining to an enhanced driving test. This however seems to be a bit of a governmental blind spot with Chris Grayling seemingly procrastinating over this issue. This in itself is quite alarming, given that there is a clear public safety issue here.Ultimately pressure now needs to be applied across the board to facilitate safer driving. There is no use making junctions and roads safer, or lowering speed limits if the person behind the wheel is of a poor standard as a driver.